For the next four years, you’ll be eating some of the most delicious campus food in the country. How much food? Well, that all depends on how wisely you use your individual dining plan. Flex Plans are designed to provide maximum flexibility (hence the name). They do not provide a fixed number of meals per week like some universities–instead they offer a balance for you to spend like a debit account. Students who live on campus are required to purchase one of the three Major Dining Plans listed above, which they can only use for their own meals or guests. You cannot, however, use dining plans as a group. You can read more about that in our terms. If you will be living on campus, your plan will automatically default to Major Flex. However, if you plan on using your plan more, you can upgrade your plan using StarRez. Going to college is your first step to being on your own, so having a Flex Plan is a perfect way to start learning how to budget your money. Luckily, you can always add Flex Additions later if your budgeting is not so successful at first. On-campus and off-campus students with a fall semester dining plan will automatically be assigned and billed for the same dining plan for the spring semester. Students may change their dining plan choice between semesters at StarRez. Off-campus students may cancel their dining plan online prior to the specified deadline. Your Hokie Passport ID card grants you access to many different things, including the gym, Blacksburg Transit, the library and most importantly to us, your dining plan. Flex Dollars: This is the money that comes from purchasing your Flex Plan, required for all on-campus residents. With this account you receive a 50 to 67 percent discount depending on what dining center you’re in. Dining Dollars: This account is similar to a Flex account in that it works like a debit card system, however, this money only receives a 5 percent discount on the regular cash price. You can also choose how much money you want to invest in this account. Hokie Passport Account: An account that allows you to make purchases in on-campus convenience stores, at software distribution, and many other departments and local businesses including on-campus dining centers (but you don’t get a discount). You can also add Flex Additions to your Flex plan in case you run out. Additions receive the same 50 to 67 percent discounts as the initial Flex Dollars. 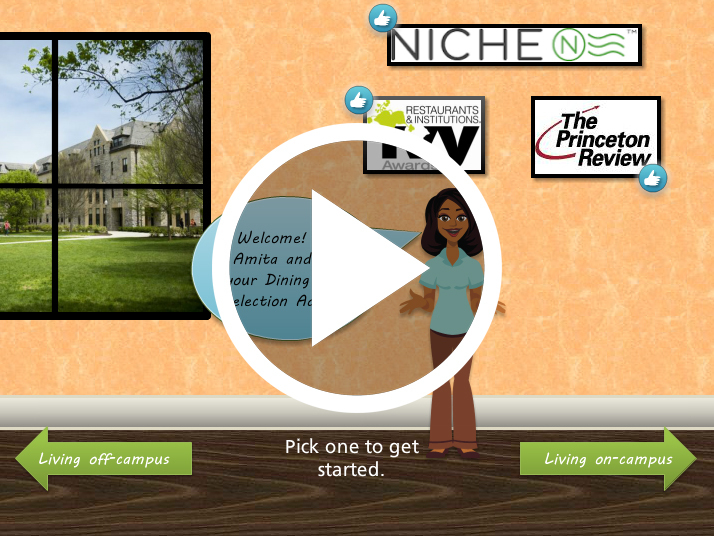 Students who live off campus may choose from any dining plan (including major dining plans). Last year more than 11,800 off-campus students purchased a dining plan. If you are an off-campus student there are some minor dining plans for you to choose from—just in case you become especially attached to that wood-fired oven pizza, your cooking skills top out at PB and J, or you enjoy the added convenience of having us cook and clean up for you. Refer to the Policies, Terms, and Refunds, and the Add Money to Your Plan pages for more information.